It takes GRIT to do GREAT things. You know this because as a Retriever you do great things every day! 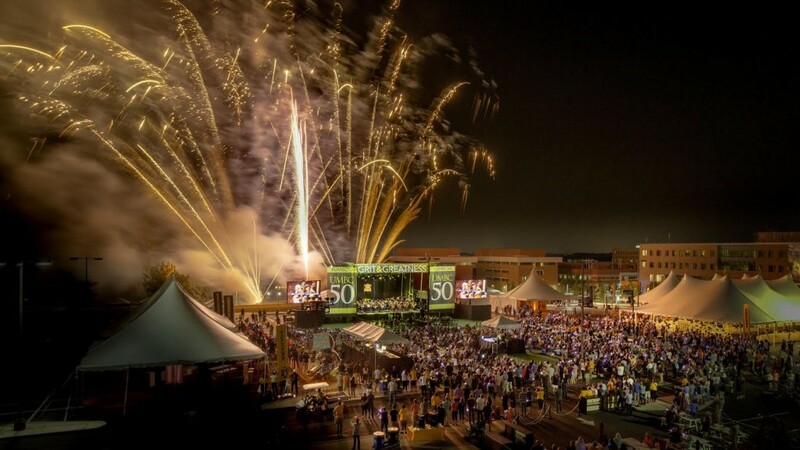 Thank you to the thousands of alumni, faculty, staff, students, and friends who came to campus to celebrate — and be celebrated — during our milestone 50th Anniversary Celebration Weekend, September 16-19, 2016. Special thanks our sponsors WYPR and Chartwells, and to the community partners who helped make this weekend happen. We hope you will enjoy a few of these reminders of what a tremendous weekend we had. We will be adding to this page over the coming weeks to share videos and more. Stay tuned to the 50th Calendar for information about events throughout our anniversary year. And, please also keep in mind these ways Retriever alumni can stay involved with UMBC!